Facebook is the largest social networking community. It's CEO Mark Zuckerberg with his collage roommates has finally launched facebook.com on 4th February 2004 and at it's initial stage it was only available for Harvard. It's headquarter is in Melno Park, California. As on February 2015, it has reached about 200+ billion capitalization. Initial name of facebook was "TheFacebook" which was later changed after 2005 to "facebook". It's CEO Mark has a very fascinating as well as inspiring life which has already inspired millions of his fans. He called himself as a nerd, geek. How to Use Facebook on Low Data Usage or Use Facebook Messenger without Downloading the app? You can download Facebook messenger app for free on your smartphone or simple java phone. 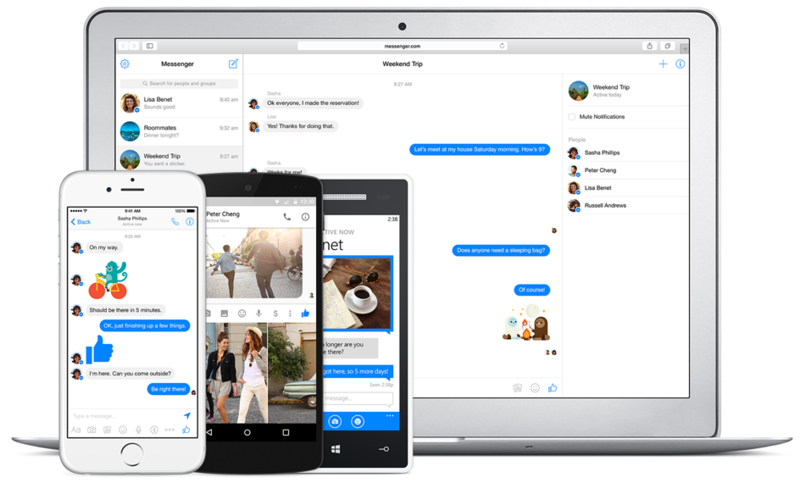 Another option is you can visit directly to www.messenger.com , which is free messenger made to available by facebook on the desktop.